10 Easy Chinese Karaoke Songs: Impress Your Colleagues with Minimal Effort! Karaoke is one of the most popular social activities in China. As such, it’s one of the best ways to develop local friendships or impress your Chinese colleagues. Unfortunately, when foreigners go to a KTV, we encounter substantial language barriers with the music, struggling to keep up with most Chinese karaoke songs. Below, we’ve included 10 easy and fun Chinese songs that you can learn with minimal effort—listed by difficulty from easiest to hardest. Check out the Youku videos below, then follow the links to the Chinese lyrics and copy and past them into the MDBG Chinese-English Dictionary to see the English and pinyin translations! "You go think a bit, You go look a bit, The moon represents my heart…"
Released in 2009, this song was Murong Xiaoxiao's most popular ever, being downloaded over 70 million times according to Baidu Baike. With simple lyrics and an easy rhythm, it's a good choice if you’re looking for a more recent karaoke song. Huang Ling first recorded "High Song" in 2007, but it recently saw a resurgence in popularity when she sang it on The Voice of China in 2012 with contestant Zhang Wei. 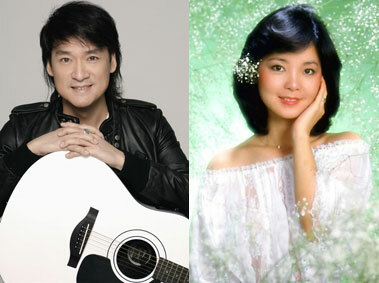 It is easy to sing because of the constantly repeating lyrics—including English lyrics like "mountain top," "day and night" and "yi yi yi yi yi yi yi yi yi…"
Among the more than 40 albums Wakin Chau released in his career, the song "Friend" off his 1997 albums Friend remains one of his most popular for expressing the beauty and trial of true friendship. Wakin Chau has released albums in Mandarin, Cantonese, and English, and has acted in 20 films. Jacky Cheung's 1993 album The Goodbye Kiss helped establish him as one of the "Four Heavenly Kings of Cantopop." Later, the band Michael Learns to Rock remade the title track of the album as "Take Me to Your Heart," and it was one of the most downloaded songs of 2006, and is still very popular in Asia. "Marry Me Today" is a heartwarming love duet about David Tao and Jolin Tsai pretending to get married, centered around the English-language bridge, "Jolin in the house! DT in the house! Our love in the house!" "My Chinese Heart" is a patriotic song emphasizing the natural landmarks of China. James Wong sang it during the Spring Festival television program in 1984. If you sing it, your Chinese friends will surely be excited that you love China so much. This 1984 song by the "Father of Chinese Rock" is considered to be the first rock song in China. When Cui performed it at a music festival, the crowd went crazy. The lyrics channel the disillusionment of a young generation growing up just as the process of reform began that had "nothing to [their] name[s]" in terms of economic prosperity and political freedom. 9.) Super Star - S.H.E. "You are electric. You are light. You are the only mythical [person]! You are my super star!" “你是电，你是光，你是唯一的神话. You are my super star!" Bottom line: The most popular song of the pioneering girl group S.H.E. If you've conquered the other songs, here's a fun challenge. "Happy Worship" is a Chinese hip-pop song with William Pan rapping. It still uses relatively simple lyrics that repeat somewhat often, but it is harder than the previously mentioned songs—and also more fun. Whether or not a Chinese karaoke fan knows what the lyrics mean, it’s likely they know and appreciate the music of Michael Jackson, Lady Gaga, and other super pop stars. In fact, Lady Gaga is so popular in China that some youth even started saying, "Oh, my Lady Gaga!" instead of "Oh, my God!" in 2010. It's my life, I don't want to spend it singing in KTVs. Another trick you can try is learning the lyrics of one of these songs (some are pretty easy and you can get a Chinese person (student) to write the pinyin if you are stuck with the characters). Then go along to a KTV event. While you are singing the lyrics by memory, let your eyes follow the subtitles on the screen (I have found that most of them are the traditional character system rather than simplified). They will be more impressed by your ability to read the old style characters rather than your singing.